Austerity vs. Budgeting: Which do you prefer? Greece is between a rock and a tough place: Do you stop pension payments to retirees to fund an interest payment on government bonds? 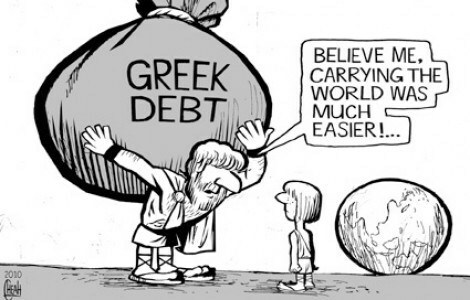 Living on credit aggravates the money situation sooner or later – that’s where Greece is at. The alternative is to live within your means by budgeting and prioritising. It’s no mean feat to achieve personally and even harder at national level. But it can be done. Germany is often cited as financially disciplined. Norway is lauded for stashing North Sea Oil wealth into a fund to finance future generations. Do you have the discipline to live within your means? Can you bear austerity for a time to get out of a financial hole? Bloomberg published a good summary article recently on how austerity has played out in the past. As I was reading it, it occurred to me that politicians don’t typically get things right, but their decisions do provide interesting lessons. So what can history teach us about how to handle financial problems and getting back on track? Plenty, I believe.